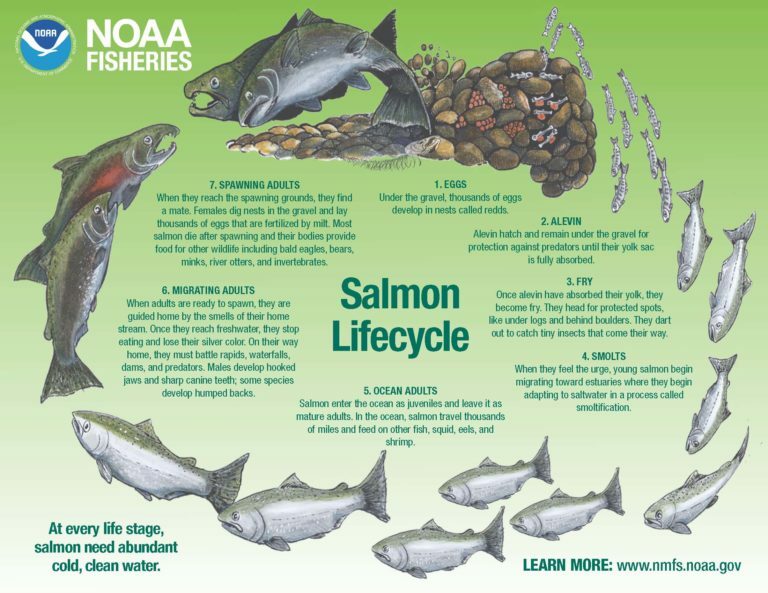 Salmon live in Bear Creek and the Rogue River, and you can see them! At various times throughout the year, you will see Chinook and Coho salmon, as well as Steelhead trout, migrating and spawning in local streams. 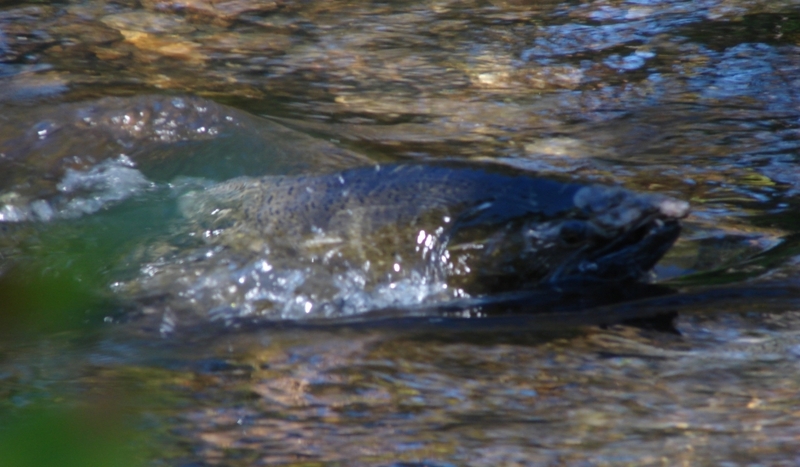 One of the best times to see migrating fish is in October, when the Fall Chinook make their journey from the ocean to spawn in the watersheds in which they were born. 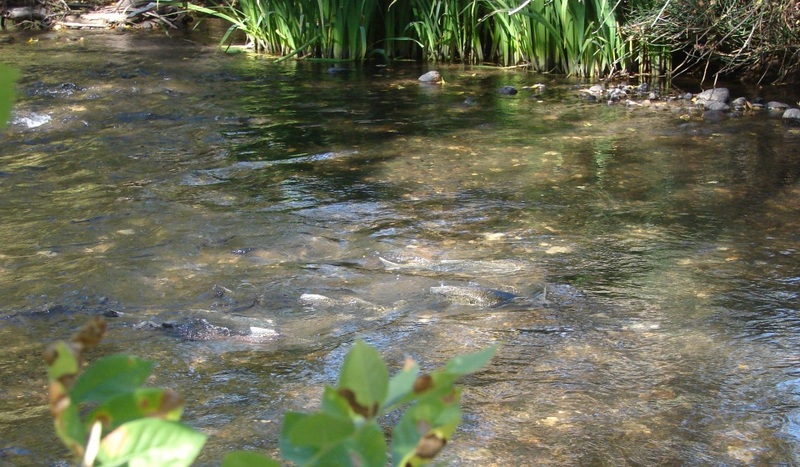 To see fish, look for bridges, road crossings, and areas overlooking the creek and look closely for active fish and surfacing fins in shallow areas. However, please do not enter the water, as this may disturb the fish or their eggs. For a list of good salmon viewing locations, please visit the Salmon Viewing page by clicking here.